The Guardian is a Boss you face in Lords of the Fallen. The Guardian is a boss found in the Eternal Flame. He spawns there on your way to defeat the Annihilator. You can bypass him if you have been helping Yetka. She will tell you a plan to use the left-wing's stairs to go up and bypass The Guardian. If you bypass him, you can later come back and fight him. If you spared the deserters, you can find them in the upper layer of the left-wing. You can tell them to kill the guardian and they will permanently reduce the guardians health at the cost of their lives. You can use this as a way to kill the betrayers for the captain. He will also use part of his own health to reignite the cauldrons but this will not kill him. Fireballs Goes down on a knee with his swords in front of him, as he raises his swords fireballs shoot from the remaining burning cauldrons and seek the player. You can dodge these easily by jumping out of the way. You can extinguish cauldrons to weaken this attack, but that will forfeit the orange version of his sword. Dash This attack is triggered being distanced from the player. 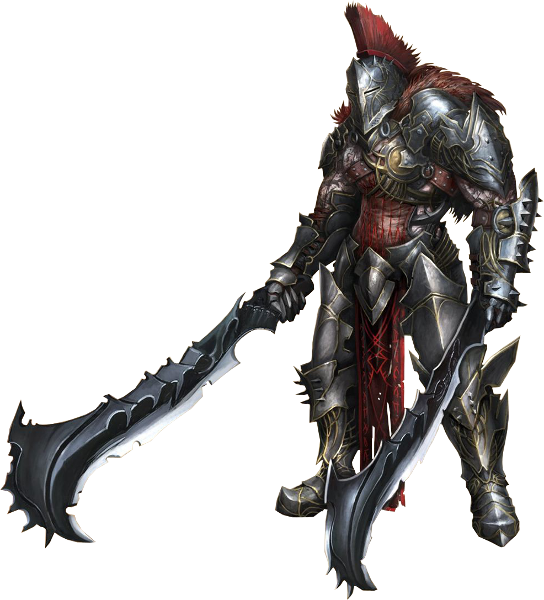 He puts both swords behind him and glides towards the player. Upon close proximity to the player he will do a forward attack and also follow it up with one or two consecutive dual-blade strikes. You can attack him for a short-period of time after this. Flurry of Fire This is his most common close range attack. He will do a chain of (usually) 4 dual-weapon attacks which are relatively easily dodged. It starts with a swing to his left and ends with both swords behind him. Kick Sticks both swords in the ground, and half vaults through them, kicking forwards. In this animation, he is temporarily invulnerable. If you are near him when he does this, he will usually do a chain of attacks. Swinging both swords upward and ending with a tracking 360 sweep. At the stairs down from the checkpoint on each side are two small pillars. Fight the boss around here, and hide behind the pillars during his fireball attack. This is an easy method to clear the boss on any difficulty without putting out any braziers. Best not to extinguish cauldrons - he gets really nasty and weapons go on fire. Fire runes in armor can reduce fireball damage to close to zero. Use light armor and dodge. Get a hit in when he starts fireball animation otherwise use gauntlet with poison rune.